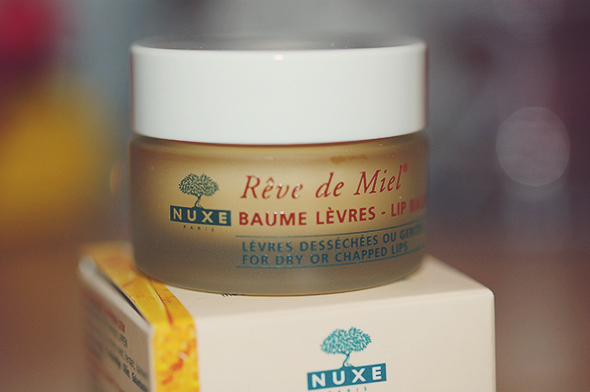 Nuxe Reve de Miel Lip Balm - Worth the Hype? This lip balm is a product I've been considering buying for a while, but have been put off by the £9.50 price tag. It has been raved about in the blogosphere for months now, and I'm very happy to say that it is completely worth the hype! The balm is housed in a 15g frosted glass pot, making it heavier and more luxurious looking than your average high street lip balm. Despite this, I'd have no problem carrying it about in my handbag every day as it's working wonders on my lips! 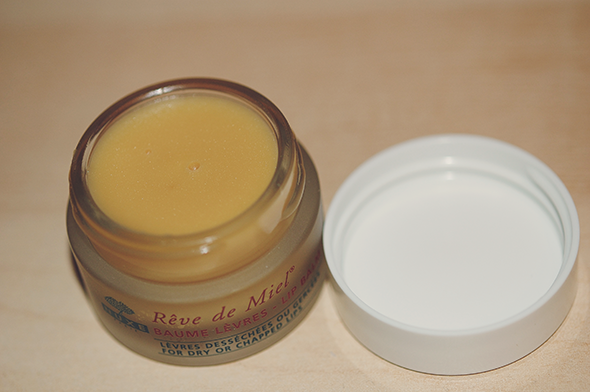 It contains honey, plant oils, shea butter and grapefruit essence to ensure your lips are super nourished. The texture of the lip balm is thick and creamy (I'd liken it to smooth peanut butter) which makes it perfect for overnight use. A lip balm rates highly from me if it stays put on my lips all through the night, and this does exactly that. The scent reminds me of a Terry's Chocolate Orange and ultimately wins brownie points. The price does add up to be a bit on the expensive side, but is really worth investing in if you're a chapped-lip-haver and a hoarder of lip balms like myself. 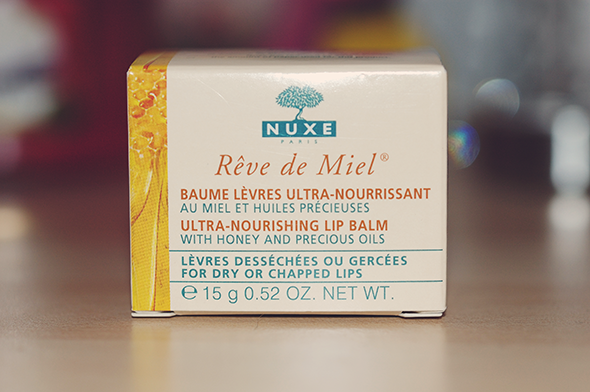 The Nuxe Reve de Miel lip balm retails for £9.50 and you can buy from feelunique.com here.